An unfortunate joke to remind us all, that a simple, easy and cheap solution can be a quality decision for appropriate therapy - instead of always needing complicated, expensive and FDA intense new medical innovations - which many times create even more problems to fix! I London we now have to wait for years to get the coin flipped. Is this cartoon copyrighted? 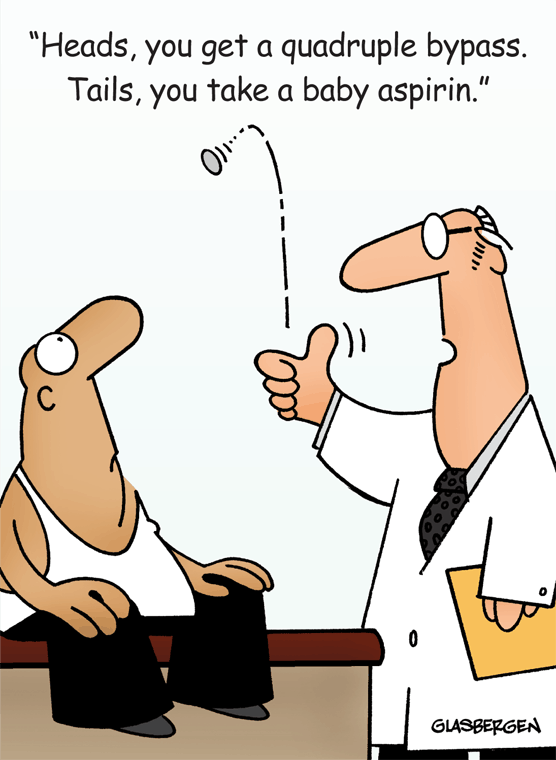 I am creating an article for company newsletter about cholesterol and I would like to use this cartoon.